Beauty Heroes January 2019 Box FULL SPOILERS! You must sign up before 20th to receive this box. I couldn’t get through the video but Jane definitely seems passionate about and proud of her products. I look forward to trying them but I don’t see them being anything I’ll be excited about using long term. Nice to have a thick cleanser for the winter though – although it’s been EXTREMELY warm where I live! Hardly a cold day, which my skin does appreciate..
OOO! Which Mahalo products did you get? I ended up renewing for this box after a two month hiatus when my sub ended in Oct (Nov + Dec products were just too coconut oil heavy for skin- but I did end up purchasing a travel size of the Max + Me mist via Integrity Botanicals to try it out). I really wish they would have made the “Hero” product the larger 100ml but I guess it’s fine since 50ml is full size. Overall, I do love BH and in February it will make a year being with them (minus Nov + Dec boxes). Yay! Finally some Jane Scrivner!!! The cleansing balm is heavenly!! Isn’t it – it’s truly the most efficient makeup remove. Enjoy! Kind of a weak start to the New Year, yeah? Value is low compared to previous boxes. Can’t judge the products before I try them though so perhaps they’re very special. I thought the same thing. While the products themselves are lovely, it would have been just a little more to have included the larger size of both products. Totally agree and thought the same. I mean the price point is so low, could have taken the opportunity to make at least the HERO the 100ml size. For the fact that one has to subscribe for a minimum of 3 months, it would be nice if they made the effort to include the larger size of the hero product when available. Especially when it’s only a bit more, like you mentioned. I’m excited to finally try this brand but then again I have about 3 cleansing balms open and too many creams + oils open as well, lol. Thanks for the feedback. We do love hearing from you. We will always focus on quality over quantity (and value) – that is our mission and we hope that you enjoy the quality, experience and ritual that this discovery offers. Of course, we understand wanting a value – and we hope you perceive the value in our products. The cost of green beauty is so much higher than traditional, lab manufactured beauty – and green beauty brands have much lower margins to be able to keep the price down for consumers. Let us know how you enjoy the products! Happy New Year. Thanks for posting a comment Luna – be sure to let us know how you enjoy discovering Jane Scrivner Skincare! Hey! That’s so cool you guys are commenting! 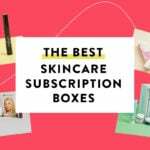 Beauty Heroes is my most favorite box, and I love all of the LE boxes you guys have been coming out with lately (particularly the skincare boxes… I grab them all within minutes of seeing the emails 🙂 ). Keep ’em coming!